Techsonduty technicians are experts in all aspects of server setup, server program installation, diagnosis, repair and maintenance, and server upgrades. 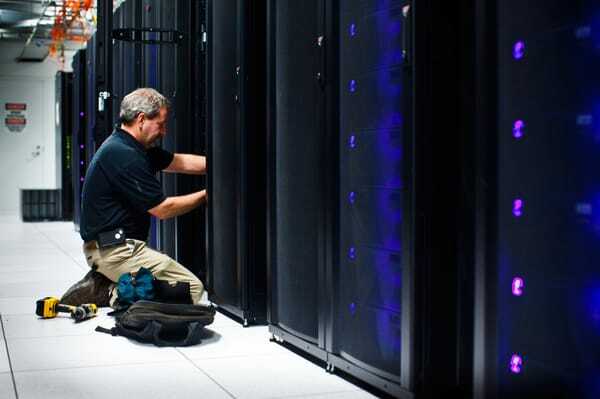 Our specialists have years of real-world experience working with a wide variety of server hardware and software configurations, and we specialize in server maintenance and server repair. Techsonduty techs are experts in diagnosing and repairing server issues, both remotely and on-site. Our seasoned specialists work quickly to ascertain the source of the server problems, then take action to fix hardware of software issues efficiently, with minimal downtime and loss of data. These are some of the services we offer for server maintenance and repair! Technicalities understands that the foundation of a stable and efficient IT network is the server equipment. Like any equipment in your business, your servers require regular maintenance to keep them working at their optimum. A server’s internal components can be affected by dust and general wear and tear over time. In addition, if software is not kept up to date, it can become unstable and its performance can deteriorate. The server’s responsiveness can decline, leading to slower performance and more downtime for you and your staff. Server maintenance is essential to keep the server and its components up to date, protect against failures, optimise the performance and clean up any errors before they result in major damage. Being proactive and keeping your server running at its best results in improved productivity and efficiency for your business. Technicalities can provide a proactive maintenance plan to suit your requirements depending on specific business needs and your budget. Our maintenance plans are designed to maximize the performance of computers and servers on your network. While monitoring can be performed remotely, our maintenance is always performed on site by the senior technician looking after your business. This enables us to ensure all is running smoothly before we leave the premises.